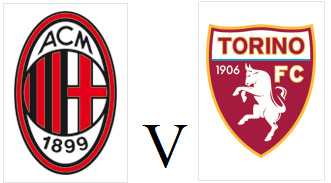 Torino will make the short trip to Milan on Sunday evening knowing that a place in next season's Europa League could still be a possibility. Genoa, who currently occupy the final Europa League place have been refused a European license for next season - so that means Toro, Sampdoria and Inter may still have a chance of qualifying. The Granata have an injury crisis upfront as Maxi Lopez has now joined Fabio Quagliarella in the treatment room. Therefore, primavera strikers Claudio Morra and Simone Rosso have been called up to the first team squad and could make their debuts. AC Milan have had a miserable season under the guidance of former player Pippo Inzaghi and the rossoneri currently sit in 11th place - unacceptable for a club of their stature. Milan have lost four of their last five matches, but did record an impressive 2-1 victory over Roma in their last game at the San Siro.